1. ODAR is understaffed. ODAR currently does not have enough workers to handle all their cases. In fact, ODAR is currently operating at a 31% staff deficiency per volume of cases compared to their staffing situation from a decade ago. 2. SSA has a hiring freeze. In spite of the growing backlog, SSA has a hiring freeze that is further impacting wait times. SSA has consistently had to deal with budget cuts that have prevented the Agency from staffing their offices to handle the volume of cases assigned. 3. ODAR has had to change the way that they write decisions. It has become more time-consuming to write a hearing decision. The District Courts have encouraged SSA to add more detail to their hearing decisions to make them tougher to appeal. Thus, the ALJs have to provide more instructions to their writers and inject more details in the decision letters to make them ironclad should an appeal be filed. 4. Duplicate records and last-minute submissions create problems for ODAR. When attorneys or claimants submit the same materials over and over or bombard the ALJ with sizable submissions a few days before the hearing, it creates havoc for the ALJs and their staff. Thus, they have asked all attorneys and claimants to avoid submitting duplicates and have prohibited attorneys from submitting evidence for the final five business days before the hearing. Are you or a family member applying for benefits? Give us a call. We will answer any questions that you have and will offer a free case evaluation to determine how we can help you through the process. Also you can take look at your individual state hearing information and statistics here. On September 26, 2016, the Social Security Administration published a final rule, “Revised Medical Criteria for Evaluating Mental Disorders.” This regulation reflects the most comprehensive revision in over 30 years to the criteria used to evaluate disability claims involving mental disorders. –Creating new listings, 12.15 and 112.15, trauma- and stressor-related disorders, to reflect the updates in medical understanding reflected in the DSM-5. The rule reflects information from the Diagnostic and Statistical Manual of Mental Disorders, Fifth Edition, which is the mental health profession’s standard for classifying mental disorders. Criteria for evaluating intellectual disability generated significant public interest. 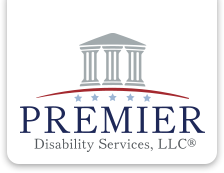 Besides reflecting comments from members of the public, the rule reflects the expertise of disability policy experts, adjudicators, psychiatric professionals, and vocational experts, who provided input at every phase of the rulemaking process. If you or someone you know is unable to work due to mental illness, please contact us for a free evaluation of your claim. On Tuesday, the Social Security Administration will announce the annual cost-of-living adjustment (COLA) for retirement, disability, and survivor benefits, affecting nearly 66 million Americans who receive Social Security or Supplemental Security Income payments. Beneficiaries received no cost-of-living increase in 2016 due to soft inflation in 2015, including a plunge in the cost of gasoline and other energy products that depressed broad consumer-price gauges. The price measure used to calculate the annual COLA, the Labor Department’s consumer-price index for urban wage earners and clerical workers (CPI-W), fell 0.4% in the third quarter of 2015 compared with one year earlier. That translated into no change in benefits for the third time since the 2007-09 recession. An upward adjustment is expected for next year’s payments as U.S. inflation gradually firms. But under the law, adjustments are calculated from a base in the last year when benefits were raised. So when the Labor Department releases its September CPI report on Tuesday morning, the third-quarter average for the CPI-W will be compared with its level in 2014, not 2015, to determine the Social Security adjustment for 2017. The likely result is a small increase in benefits. The Social Security trustees’ report released in June forecast a 0.2% increase for next year. The American Institute for Economic Research this week predicted an increase in the 0.2% to 0.5% range, which would be the smallest rise (aside from years with no increase at all) since automatic adjustments began in the mid-1970s. Social Security benefits increased by 1.7% in 2015, 1.5% in 2014 and 1.7% in 2013.